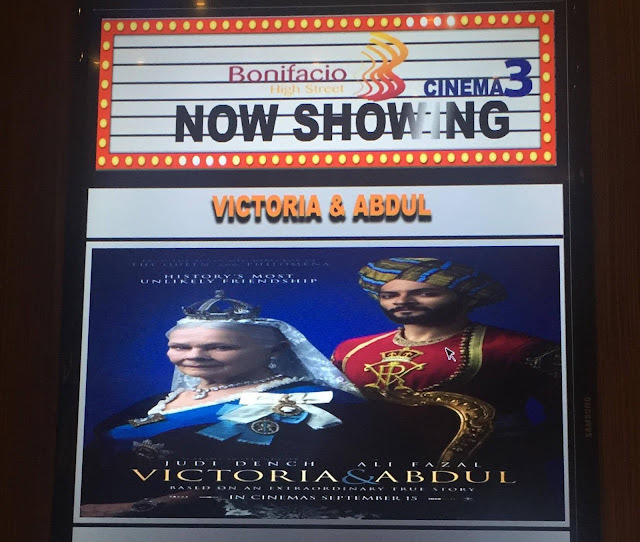 Victoria & Abdul is a great movie for historical buffs, Anglophiles, royalists, or those who simply love watching a good movie. However, I prefer my own title for the movie- The Mango and The Munshi. Queen Victoria was one of the longest ruling monarchs in Europe. It was also during her reign when England achieved that glorious era in their history called, the Victorian years. However, the film is not about that, its about the uncanny friendship between the queen and Abdul, an Indian guy who was given the task to give her a special Mohur coin for her Jubilee celebration. Dame Judith Olivia Dench (a.k.a. Judi Dench) gave a superb performance as the old and lonely Queen Victoria. Ali Fazal, the actor who played Abdul gave an equally noteworthy performance that is perfectly in-sync with that of Dame Judi. Abdul gave color to the queen's life much too the consternation of the court (including Queen Victoria's son, Prince George). Just remember that this happened during the late 1800's and people way back then were really conservative in their views and there's also a racial discrimination involved. The film gave us a glimpse of Queen Victoria's last few years until she passed away. All of her children were married by that time and was reigning all over Europe. I was in awe the whole time especially with Dame Judi's performance as the old queen. She was able to make me empathize with her character's loneliness in old age, having that idea in her head that those around her are just pleasing her because she is the queen and that people are awaiting her death. Then out of the blue, happiness came in the form of Abdul wherein old age was forgotten and she became young again. Overall, it is a very enjoyable and historically correct film that every one should watch.